Ellsworth Rogue sports a 66-degree head angle. Ellsworth has had its ups and downs over the years and the recent bikes we’ve seen were a bit dated with long swingarms and old-school geometry. So we naturally attended their latest product introduction event with a bit of skepticism. But there was definitely a mix of rejuvenation and excitement in the room, as they showed us their new bike, the 160mm 27.5 Rogue Sixty. The highlights of this carbon rig are a 66-degree headtube angle, 420mm (16.5”) chainstays, and a 74-degree seat tube angle. The suspension is still the efficient and active 4-bar rear linkage with a much shorter suspension linkage. Routing is internal, and room for a long, 30.9mm dropper post is allowed. The chart below documents the geometry changes well. 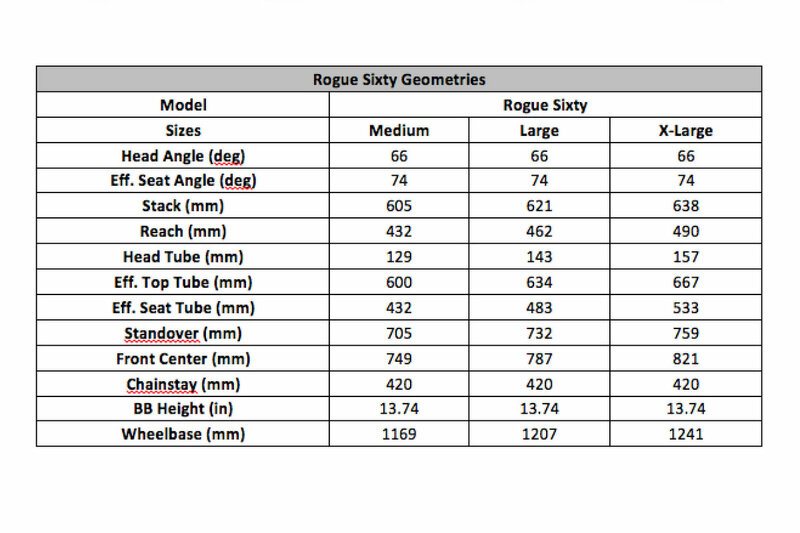 Ellsworth Rogue Sixty geometry has been completely updated. Stack and reach have been updated as well. Short stems and wide bars encourage a more aggressive and active riding style, driving one’s weight through the bottom bracket allowing the active suspension to do much of the work in rough terrain. 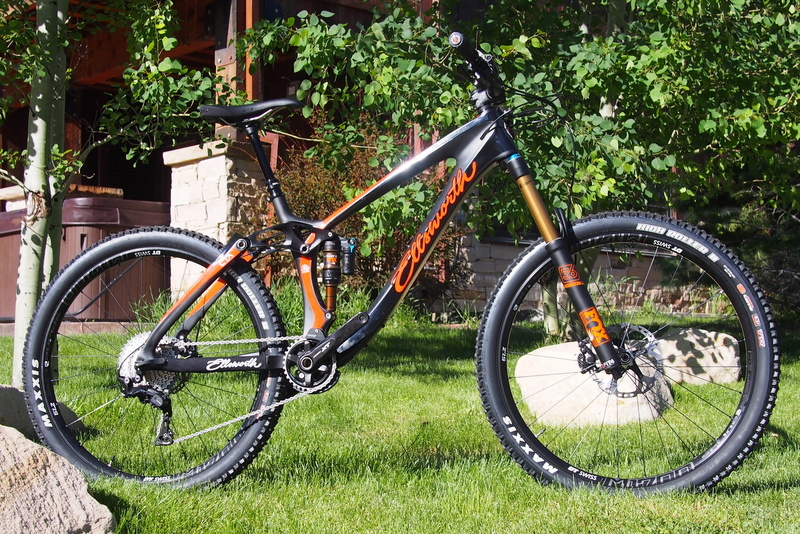 Other design enhancements on Rogue Sixty provide for more simplified maintenance of pivots, bearings, and rear shock. Lateral stiffness has been increased with the anti-torsion Hex-taper axle, dual row angular contact sealed cartridge bearings, and stiffer pivot pins. 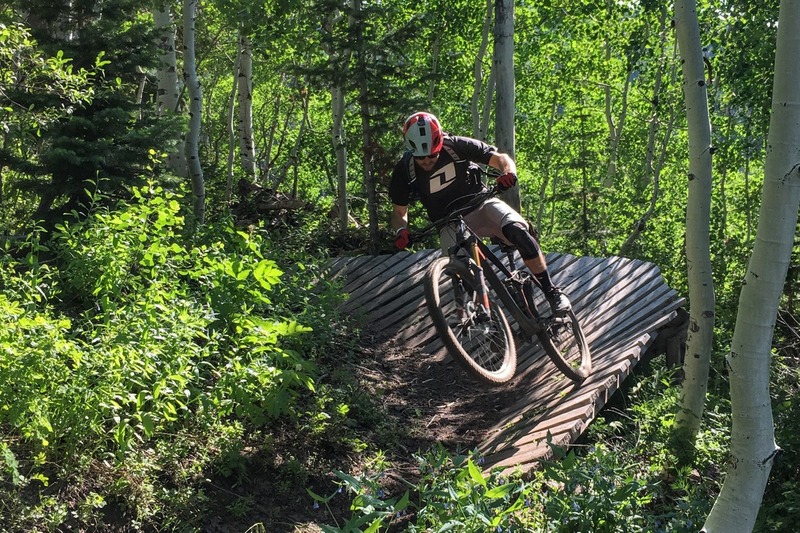 We rode the Rogue Sixty for an afternoon on the trails of Deer Valley Resort in Park City, Utah. Big jump trails, old school DH, and XC routes were at our disposal during the ride. We’ve ridden a lot of great bikes recently including the Ibis HD3, Pivot Switchblade, and Santa Cruz Hightower. We’re happy to report that this bike holds its own. Getting comfortable with it happens pretty quickly. It fits well, both in the climbing position and aggressive descending stature. Suspension is active through all levels of power delivery and braking. It is smooth and supple and especially shined on rough descents and bumpy climbs. Something quite noticeable is how stiff the rear end is. Not only is the new boost wheel stiff, but also the rear triangle that it tries to influence during hard cornering. All pivot points on this rear triangle have been reinforced and it is noticeable on the trail. On the big berms of the Tidal Wave trail, it held its line confidently. On the old school DH trails that often had drops followed by abrupt turns, it was very easy to whip the tail around to negotiate the turns. Boost stiffened rear end? My money is on placebo effect. I don’t think people can actually perceive that slight of an improvement. Im happy to see the 1996 Kona Stinky getting a nod 10 years later!